This dark image looks something straight out of Dante’s Inferno, but is in fact an 19th century club that operated in Paris’ red light district. 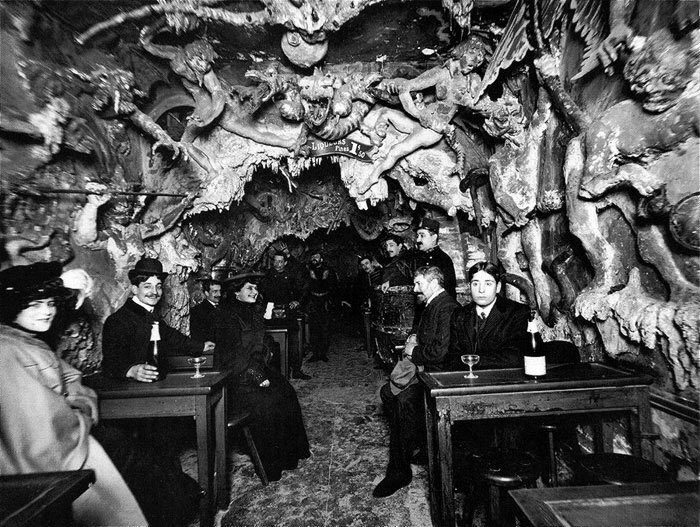 Le Cabaret de L’Enfer was a Hell-themed café that featured hellish visage that hung from the roof and walls of each room. 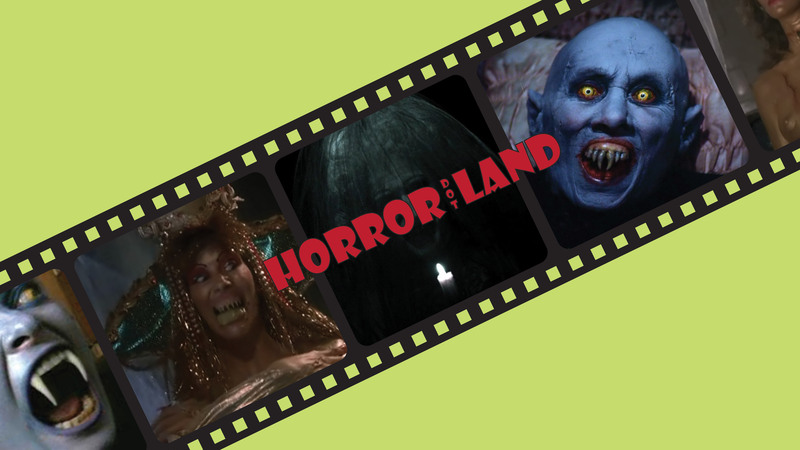 And if the twisted tortured bodies weren’t enough to give you the chills, it’s entrance literally made you walk through the devil’s mouth. Whilst little is known about the café, as history has all but swallowed up all who once dwelled there, there are still a handful of pictures floating about to prove its existence. Yep, there once was a place where the price of an expresso was your soul. When we think of head collectors, our minds usually wander to strange Amazonian tribes and ritualistic killings. 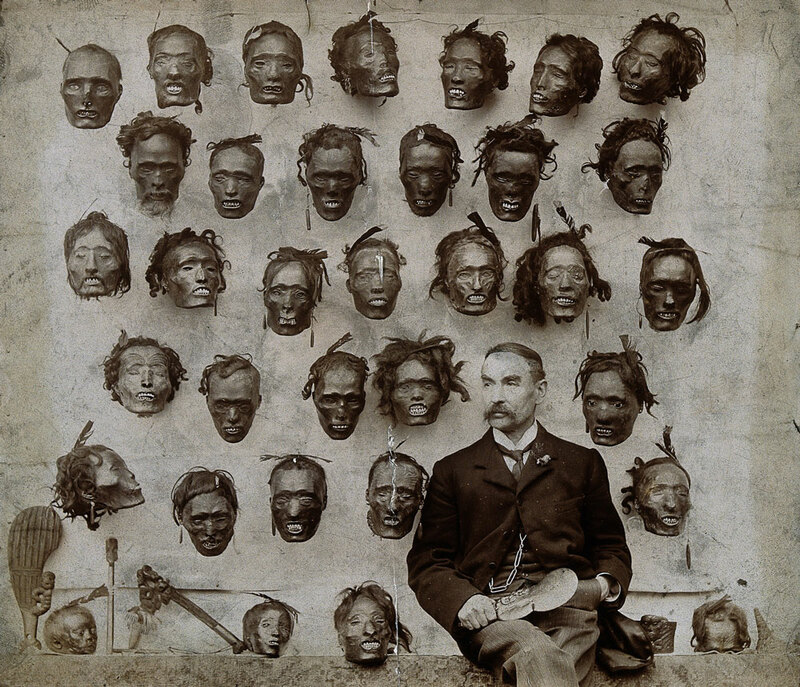 In this picture from 1895, we see Horatio Gordon Robley, a British soldier and artist who picked up a macabre fascination with collecting severed heads. Mokomokai are the preserved tattooed heads of deceased Māori, the indigenous people of New Zealand. This oddity became a valuable trade items during the Musket Wars of the early 19th century, and Robley started grabbing as many as he could get his itchy finger on, building up a unique collection of 35 heads. 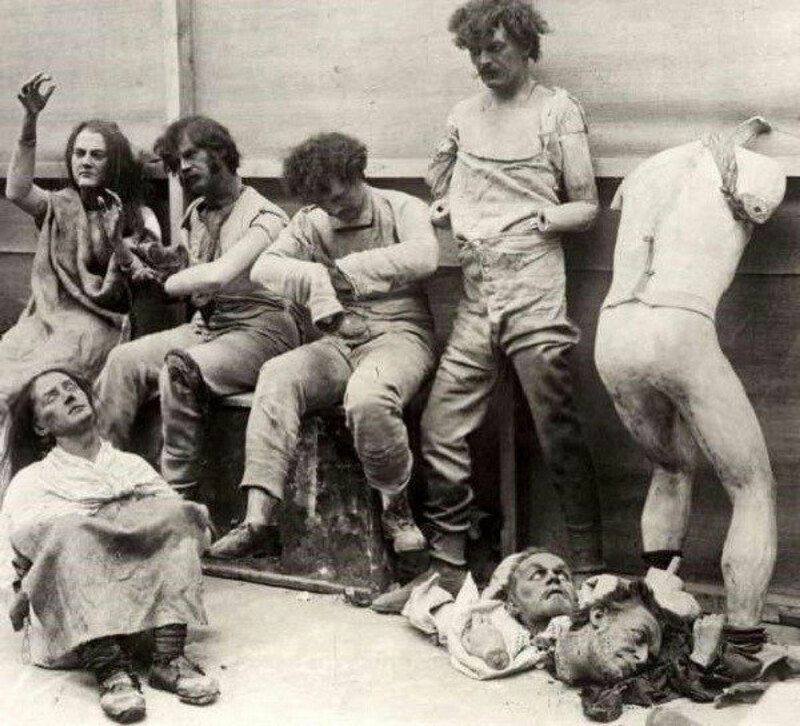 At first glance, this grotesque scene seems like the aftermath of some grisly accident, but is actually a photo taken after a fire took hold at London’s Madame Tussauds in 1925, on march 18th. The blaze ripped through the upper floors, almost completely gutting the popular attraction. World leaders, sports personalities and infamous criminals, all went up like giant candles, leaving twisted broken torsos and charred limbs poking through the rubble. The characters in the photo had a luck escape from the blaze. Madame Tussauds reopened two years later in 1928, with a new cinema and restaurant. Let’s hope that charred grilled torsos were off the menu. This historical photo was taken in May 6, 1937. 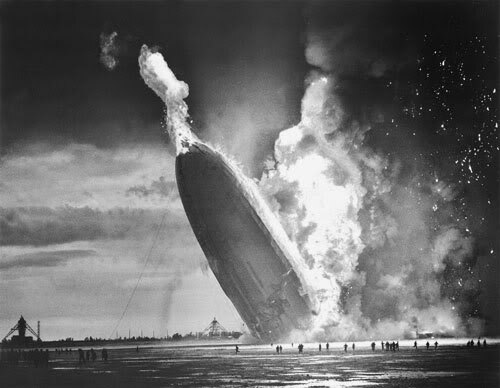 The German passenger airship, the Hindenburg, was docking in Lakehurst Maxfield Field; New Jersey, when it caught fire. The resulting explosion of the hydrogen filled blimp, sent the vehicle crashing to the ground in flames. Of the 97 passengers on board, 35 people lost their lives, with one worker on the ground also falling victim to the accident. This image captures the true terror of the event, as the airborne giant is ravished by the flames. This photo, taken in 1870, depicts a pile of bison skulls waiting to be ground up and made into fertiliser. 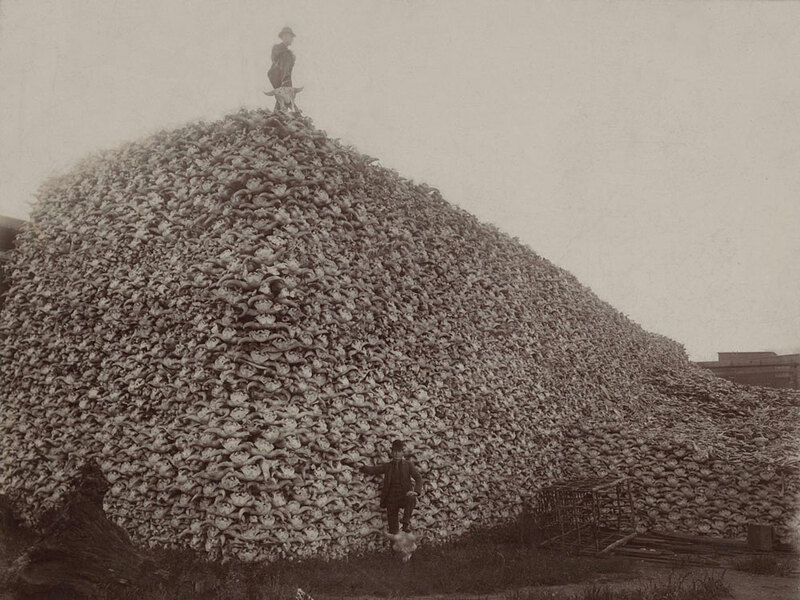 Whilst modern day agriculture puts this picture to shame, with around 39 million cattle slaughtered each year, the huge mountain of bison skulls puts this type of slaughter in perspective. US settlers almost wiped out the entire population of bison, with an estimated 1k animals left by the 1900’s. The bison used to roam the plains in numbers as high as 60 million, and provided Native Americans with food, clothing and shelter. 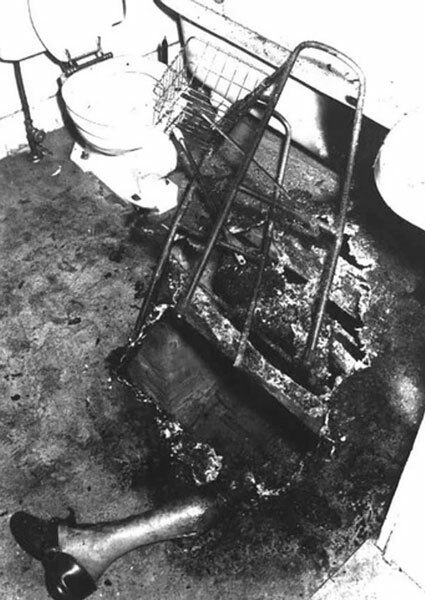 Science still considers spontaneous human combustion as a work of fiction, with studied cases pointing towards a contained fire accident, rather than a supernatural scenario that makes people burst into flames. However, many still believe in this strange phenomenon, and it’s the case of John Bently that fuels this theory. Being the best know case, this photo depicts all that remained of the 92-year-old physician whose body was reduced to ash in 1953, leaving the rest of the house intact, apart from a hole in the floor. The heat needed to reduce someone to ash is extraordinarily high, and weirder still is that the fire was isolated to a very small section and did not spread to the rest of the wooden house. It’s any parent’s worst nightmare, a fire in your home. You’re only though is to get your child to safety. Such was 19-year-old Diana Bryant thoughts when she hurried onto the fire escape of a burning apartment building on Marlborough Street in Boston on July 22, 1975. Tragically, this story does not have a good ending, as this Pulitzer Prize winning photo captured the moment the fire escape collapsed, sending Diana and her 2-year-old goddaughter falling five floors. Diana died due to her injuries, but by some miracle, the child survivied the fall. 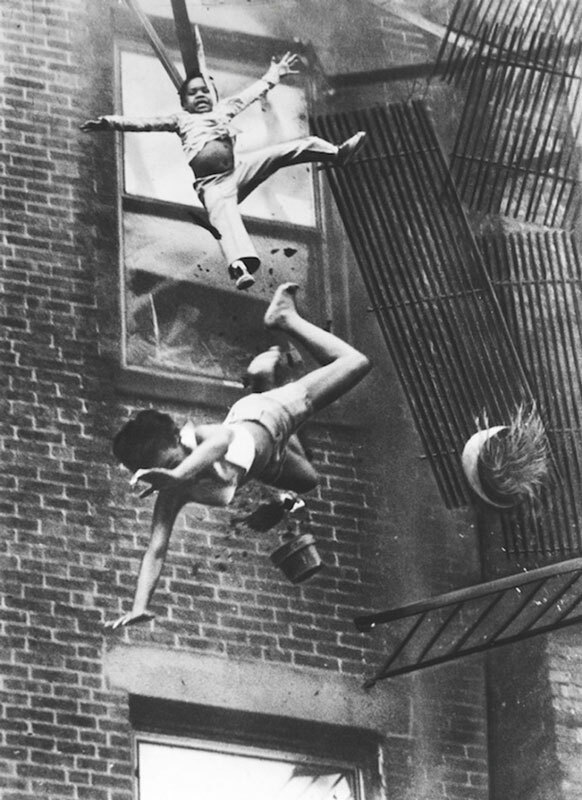 The image caused some storm, as the photo appeared in newspapers around the world, and led to the adoption of new fire escape legislation in the United States. In May 1947, LIFE magazine devoted a full page to a picture taken by a photography that captured the body of a suicide victim. Student Robert Wiles snapped the image, mere minutes after she had hit the limousine from the observation platform of the Empire State Building. 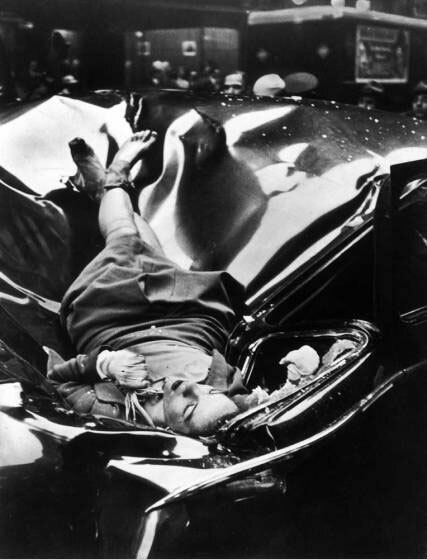 The woman was 23-year-old Evelyn McHale, and whilst little is known about her, or even why she choose to take her life that day, the photo captures an elegance in death little seen through the eyes of a camera. Her pose is chilling; her gently crossed ankles and her gloved hand clutching at her necklace. She seems like someone in gently contemplation of their day. Her sereneness in death resulted in this haunting photograph being named “The most beautiful suicide”. At first glance, this could look like some sort of horrendous accident, but in fact, this mistimed photograph is behind the scenes at Disneyland. First appearing in Popular Science magazine, in 1964, the image shows two Disney engineers repairing an animatronic cave man for one of the parks attractions. “What to do for a splitting backache . . . automated caveman gets a rear-end drive.”. 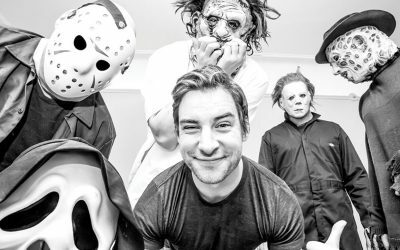 Even though the photo has a very innocent back story, it still enough to give anyone a bit of a fright on their first look. 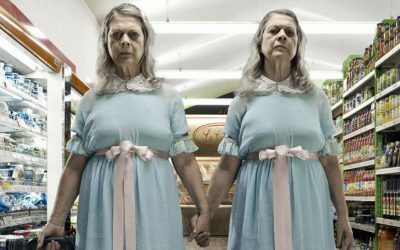 Creepy stuff! 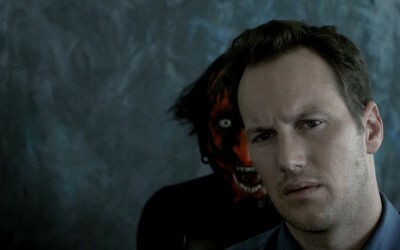 The smile plastered over this guys face is one of insanity. 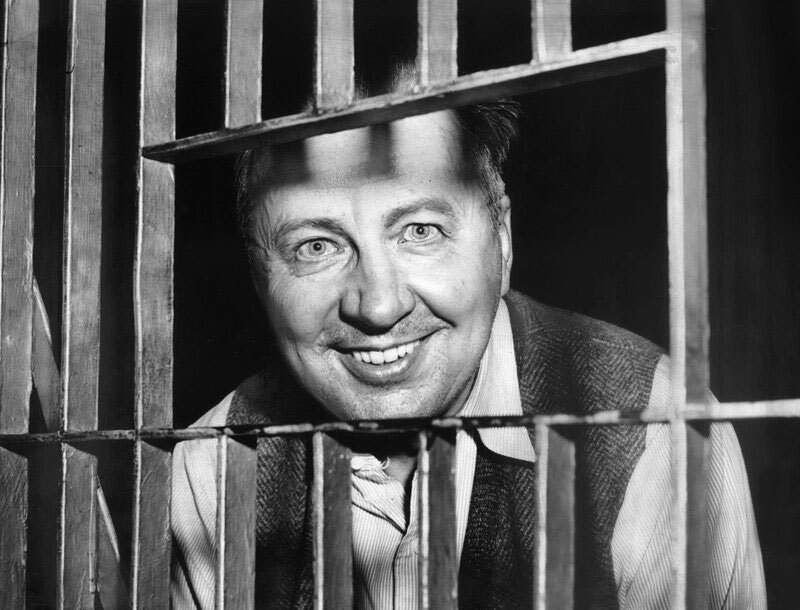 This is the creepy grin of George Metesky, aka the Mad Bomber, who terrorised New York City for 16 years in the 1940s and 1950s. He planted 33 bombs, of which 22 exploded, in theaters, terminals, libraries, and offices. Bombs were also left in phone booths, storage lockers, and restrooms in public buildings. Luckily, no one was killed in his crazy reign, but at least 15 people were injured. Like any good madman, Metesky sent letters to newspapers, boasting about his dirty deeds. It was these letters that eventually led the police to arresting the bomber, as he had left vital clues that revealed his identity. We can only hope that this was part of a larger plan to infiltrate the police head quarters so that he could nab a corrupt accountant. Sadly for this Jokers crime spree, it ended April 18th, 1957, when he was committed to a hospital for the Criminally Insane. And no, it was not named Arkham! No, this guy is not a grave robber, or a psycho serial killer. 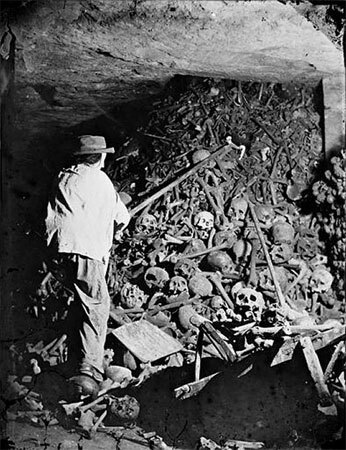 This is a photo take circa 1860, of a worker shovelling around piles of human bones, for the construction of the now infamous Paris Catacombs. By the 17th century, Paris’ cemeteries were overflowing, to the point when corpses were left uncovered. 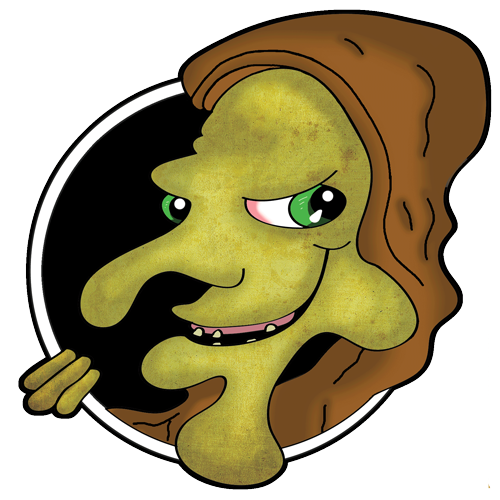 A prolonged period of spring rain caused rotting corpses to be washed into nearby towns. They could no longer ignore the issue. The solution was to place them in centuries-old tunnels that had existed beneath the streets of Paris. 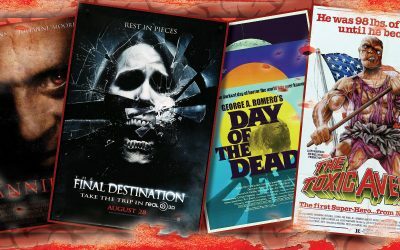 It took 12 years to shift around 7 million bodies into the tunnels and the result of which, you can visit today. Only a mile or so the catacombs are open to the public, and it’s here were renovations transform the underground caverns into a visible mausoleum, of skulls and bones stacked into patterns. 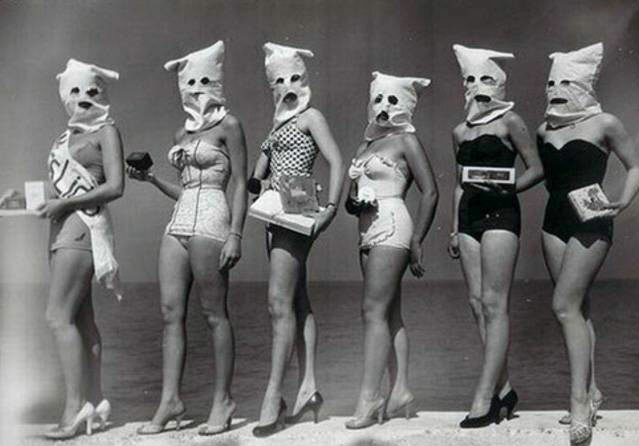 Whilst at first glance it looks like a Klu Klux Klan lingerie meeting, this is actually an odd little photo from the 1930’s depicted a beauty contents where the candidates had to wear sacks, so that the judges’ would only mark them for the bodies. Surely this proves that the 1930’s were some of the creepiest times to be alive? 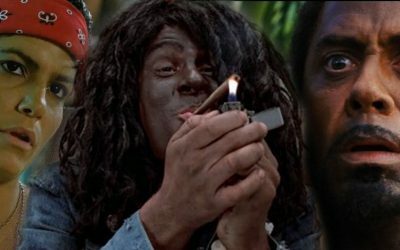 Plus also, now we all know where Jason got his disguise idea from, in Friday the 13th Part 2. Maybe he was a bit of a stunner under that sack? A chilling reminder of the devastation of war. 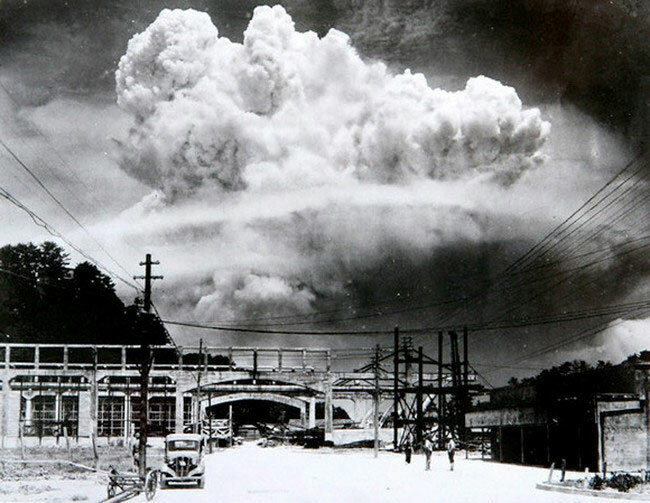 Here is a photo taken from ground level of the Nagasaki atomic bomb detonation on 9th August 1945. Whilst Hiroshima is the best-known example of a nuclear attack, it was the larger bomb that dropped on Nagasaki that ended Japans war efforts. Japanese cabinet realised that they could not hope to win with such weapons of devastation at their enemies’ side. 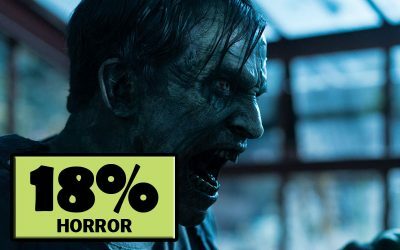 “Hi Horror Fans – History can be pretty SCARY at TIMES! 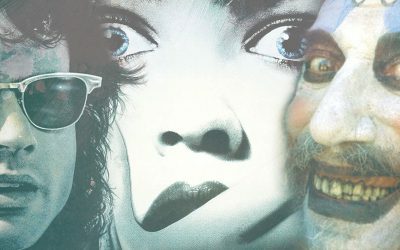 Some of these SPINE-CHILLING photos really put the CREEPS up me. There’s plenty more where they came from, so let us know if the comments below if you want to see more of less of histories SHOCKING moments captured in photos.